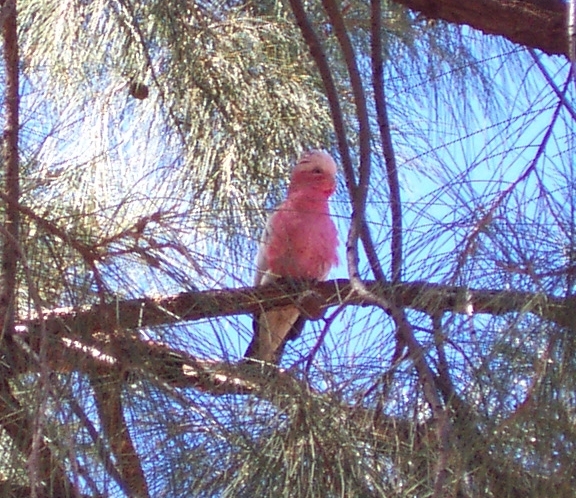 We saw many cockatoos - both the white "sulphur crested" and the pink/grey "galahs" throughout Australia, but the most in the Red Centre. We also saw black cockatoos but could not photograph them. 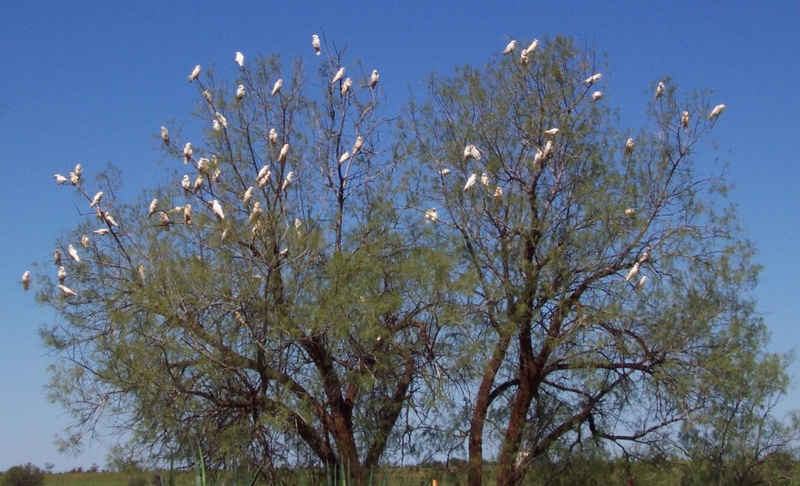 White cockatoos in a tree outside a roadhouse, on the way to Ayres Rock Resort. 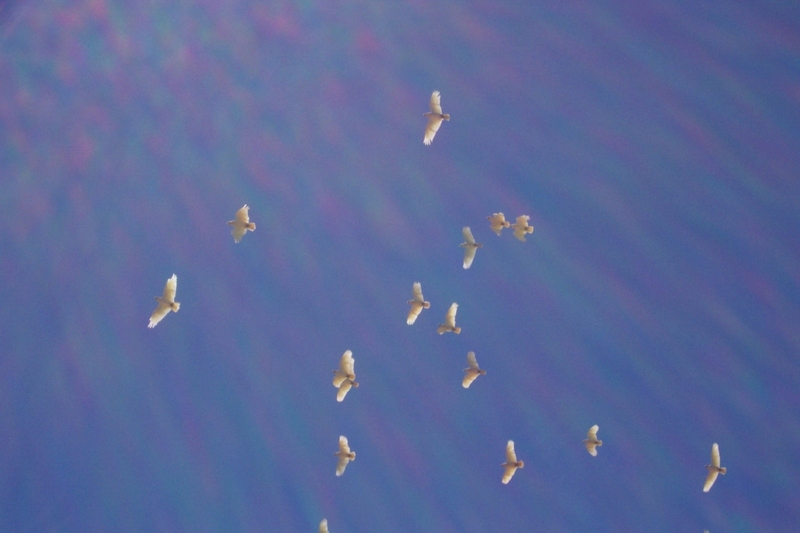 The same cockatoos, in flight. 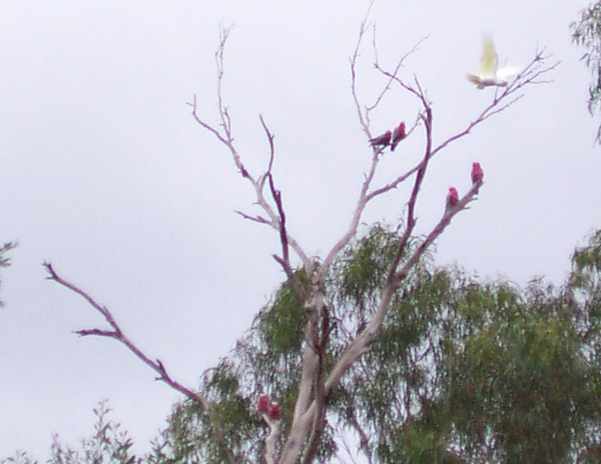 A flock of galahs in a tree at another roadhouse. 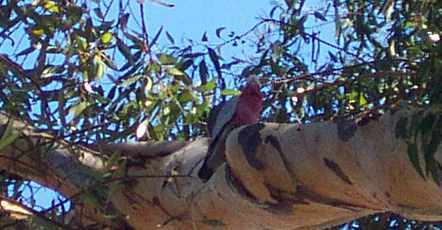 A zoom shot of one of these galahs. 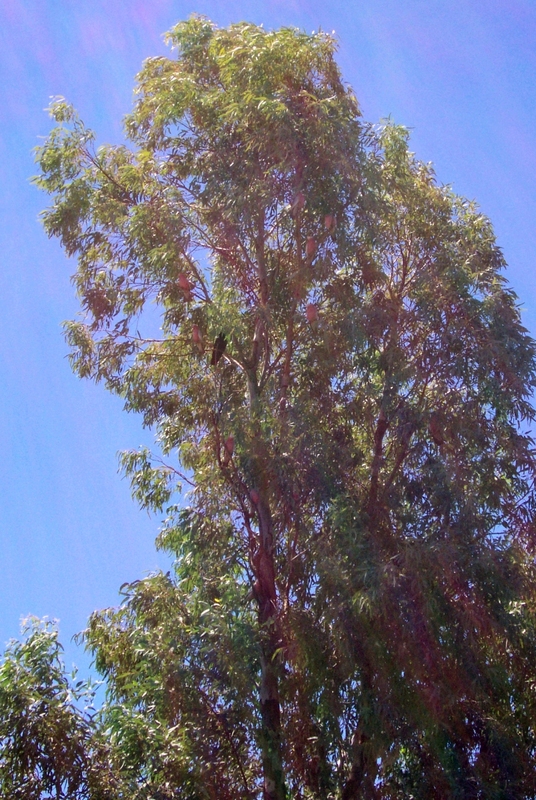 A galah high up in a tree in Adelaide. 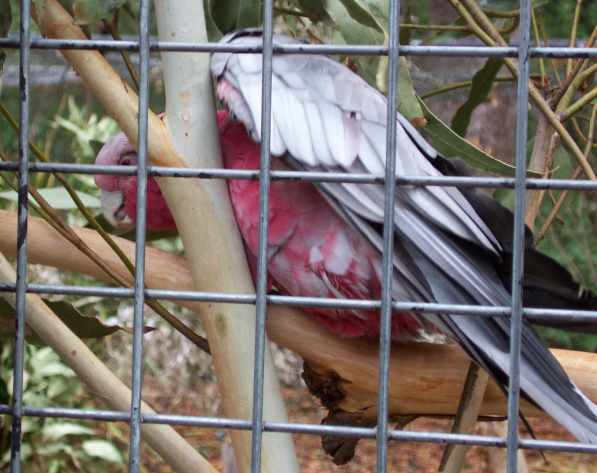 Galahs and a cockatoo in flight at Healesville Sanctuary. 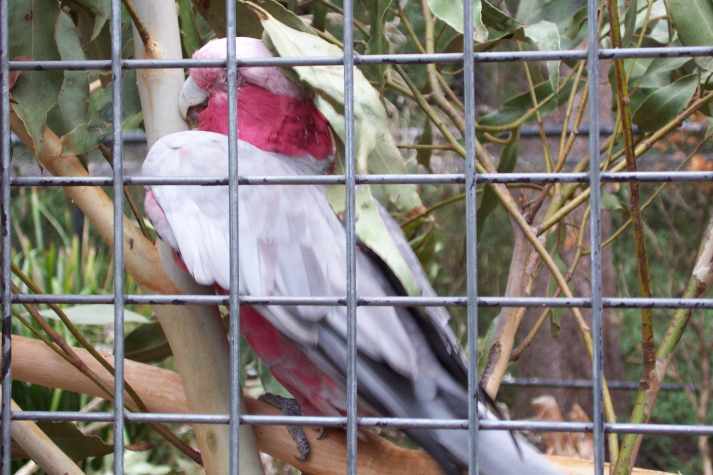 Galah in an enclosure at Healesville. Another shot of this playful bird. A pet store in a small town where we stopped had galahs for sale for $30, hand-raised tame galahs sell for upwards of $2000 in the U.S.A.